Happy New Year to all of you, may the year 2010 brings happiness everywhere. First week of the year 2010 is already over, kids are back to school in fact dear daughter is going to have her first snow day(no school) of the year 2010 & I'm still not back to my routine. Winter vacations from the school for kids means getting up late in the morning & sleeping late in the night, which means no time for blogging for mom. I remember as a kid when we use to be home during holidays, my Mom would say she can never keep up with her routine work the days we are home and now I realize what she always meant. Days when the DD is at home I hardly get to do anything on the Internet, in today's life that's what my daily routine is getting up in the morning......checking mail, reading some blogs, checking some news on the web, google some new recipe for the lunch, again google for help : for any queries which might come to mind.............check the mail............play with kids........oh, did I said check the mail, no...no...no..no.....not the postal mail, that only bring bills but the one which bring happiness : e-mail...........and one last thing before going to bed, yeah U got it by now, check the e-mail. And somewhere in between when ever U get some time cook breakfast, lunch, dinner & have some instant healthy options ready for snacks, play with kids, take care of baby, do the dishes, laundry, clean up, fool around.....blah.....blah.....I guess you got my point. Or in short I had relaxed time with no routines to follow & fun spending time with family. For the first post of 2010 I decide on a cake but then DD suggested to post these home made rice crispy treats, I liked her suggestion, it's sweet, healthy as it's not only home made but uses gur as sweetener & best of all reminds me of my childhood. Near my parents house, a weekly market takes place on every Thursday. As a kid we use to go there regularly to buy some knick knacks, mom would buy fresh veggies & then we get to eat some tasty street food......moth(sprouted lentils), choole bhature, kari chawal to name few. It was like a weekly outing for us, even now also when I'm there at my mom's place & it's thursday I like to go there, not for any kind of shopping but for the food.......Now coming to today's recipe : Rice crispy treats or as we call it Marundas in Delhi, we use to buy these treats from one of the reri-wala bhaiya there, it's very simple thing but we never made it at home but we use to always look for him so that we can buy some. I don't remember exactly but I guess it use to be available starting the Diwali season, kind of a winter treat. I don't have exact measurements for this recipe as it was more of eye-balling, and just in case if you don't get exact squares don't worry they will still taste yummy. Heat water in a heavy bottom pan add jaggery to it & let it melt, stir it. Once it melts let it cook for few seconds it gonna bubble up a bit, add 3 & 1/2 cup of rice puff & mix everything together so that they get coated with jaggery. If you feel there is still some liquid add some more puffed rice or let it cook for few more seconds. Turn the gas off & spread the mixture onto the greased baking sheet. Once cooled it will be hard, cut it into squares or desired shape. Store it in air-tight container, I kept it for around 5 days & I also used some plain wheat puffs in it. I specially love these as they don't contain any processed sugar & DD loves it because they are simply rice crispy treats. I'm sure many of you must have eaten these may be with different name, so whenever you guys have 5 minutes to spare do try these, it's sweet & healthy, to check more benefits of gur(jaggery) click here. Last month or I should say last year Malar & Ashkuku passed me this wonderful award, thanks to both of you and at the same time I'm sorry I couldn't post it earlier but what could be better than starting the new year with an award. I would like to pass this award to all my blogger friends, please feel free to pick it up. As I'm finishing this post, another snow day is already announced, so we might be adding few more accessories to miss dolly. I enjoyed reading your note, very nice indeed. My Mom used to make this and my wife makes it some times during Saraswati puja. rice crispies are a great treat..back home we always had it made during nagapanchami festivals..very delicious..
Great treat Spice; I like them better made with jaggery than marshmellow puff which is what is used in the US! aww ... that crochet dress on the doll is the cutest, my daughter is going to love the little picture! Lovely, healthy recipe Spice. DD loves rice-crispies, and I so like it that this is with gur. Will tell you how it turned out! Rice crisps look perfect and tempting.. :) Have a lovely year and buddy the crochet looks too cute.. :) Mom makes them too.. You have a lovely blog. Guess I am here for the first time. Will be back often. 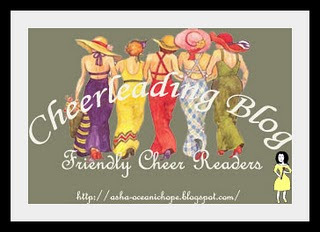 You are most welcome to my blogs too.